'Tis the season for death, despair, and darkness! Hopefully this will be a nice palate cleanser for most of us who might be, already, tired of Santa. Unfortunately, because the holidays are coming up so fast, I can't just ignore how behind I am when it comes to buying gifts. I needed some simple ideas for some of my more eccentric friends and I figured I would share what I found with all of you! I have to confess, I don't exactly utilize wall calendars (nor desk calendars...), but we all know it's really just about the images inside wall calendars. I'm just going to let you gawk at it for a moment.... finished? 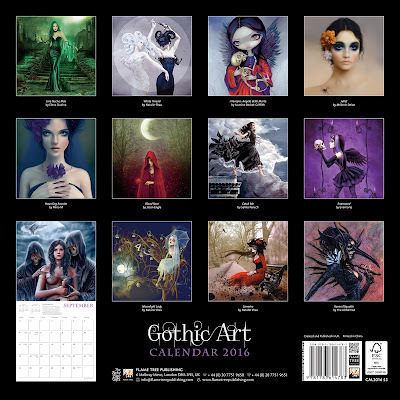 Yes, the Gothic Art 2016 Square Calendar is beautiful isn't it? Before I start yammering about how absolutely in love I am with this calendar, I'll lay out a few statistics for you. This is a calendar published by Flame Tree. Tt is 12"x12", thus the square. The art inside the calendar, as you can see, is done by many artists ranging from cutesy, mystical, traditional, modern! It literally has everything and it encompasses a lot of goth culture. My personal favorite piece that I would definitely hang on my wall is "White Thread" by Natalie Shau. I love the white and black dichotomy and it's glamorous. Now let's go to the classics. 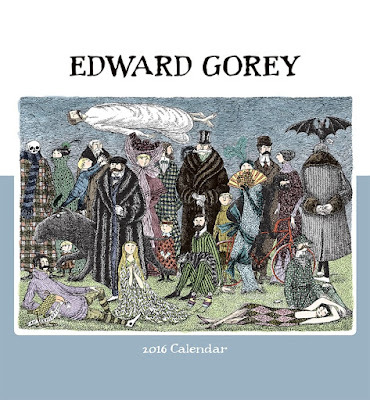 This Edward Gorey 2016 Calendar from Pomegranate features the strange and wonderful characters that are in Edward Gorey's illustrations. It measures 12x26 inches when open. I really do love him and, as we all know, his art is timeless. Typically he is my 'go to' artist. 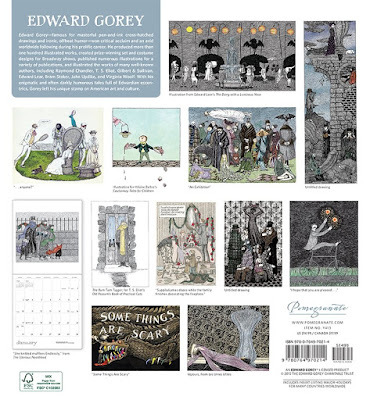 If I can't find something for either myself or another goth lover then Edward Gorey it is! My personal favorite, is the "Dong with the Luminous Nose" an illustration from an Edward Lear poem! Just beautiful. 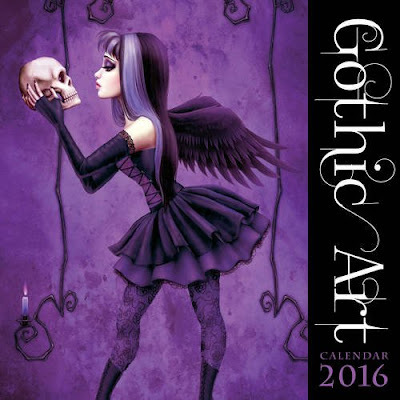 This particular calendar is for the blood lusting types or just the dark mysterious kind, if you know what I mean! 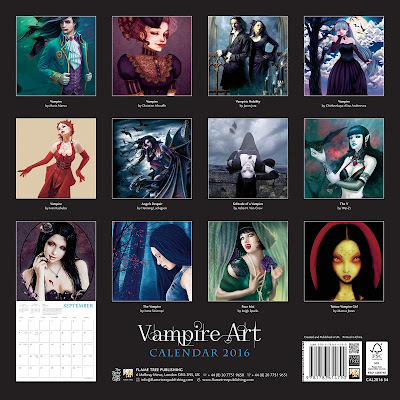 So, the Vampire Art 2016 Calendar Square 12x12 is published by Flame Tree (like above). It also measures 12x12 inches and again is filled with art from all sorts of artists. Honestly, I think these guys have the right idea, there's so many kinds of vampires in this calendar I think they cover all the bases. They have pictured an almost manga styled vampire by Chizhevskaya Alina Andreevna to very realistic vampire royalty by Jason Juta. 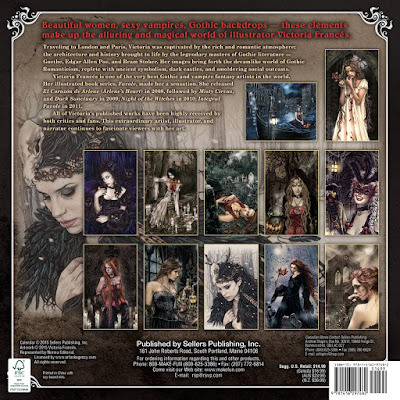 The Vampire Art Calendar has all the kinds of seductive and provocative vampire styles we know and love. 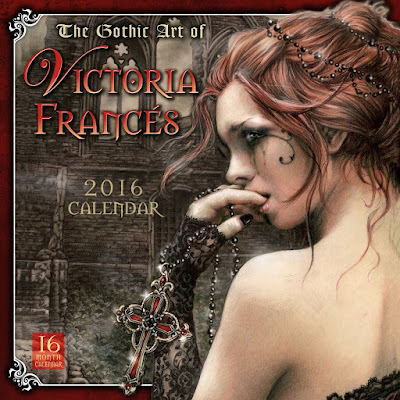 The dark, macabre artwork in the Gothic Art of Victoria Frances calendar for 2016 is so stunning, I want to tear out and frame every single page. 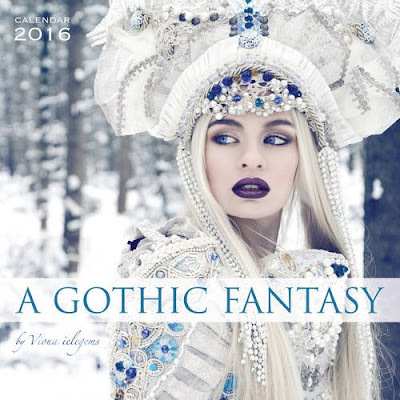 Costumers and goth cosmeticians will swoon over this A Gothic Fantasy 2016 calendar. Changing gears from looking at attractive women, please take a moment to look at this amazing architecture! Wow... 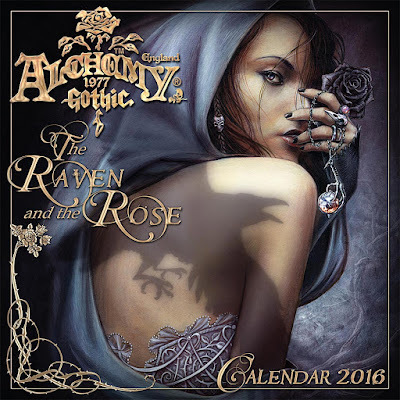 I almost didn't include this calendar, but it is absolutely gorgeous. 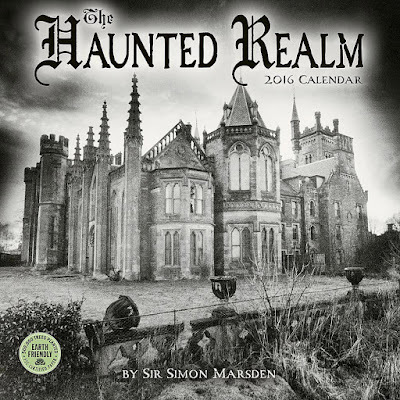 The Haunted Realm 2016 Calendar is a 12"x24" calendar when open. 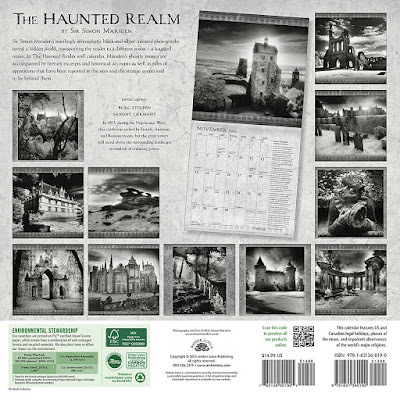 It's filled with the most stunning black and white photographs of haunted landscapes. Credit for such fabulous images goes to Simon Marsden. The best part about this calendar is that it is SO perfect they printed the images on "Frame able Artbook-quality" paper! This calendar's secondary purpose is actually to be a calendar. So really there's no excuse for me not to even get this since I use calendars for decor only. In all seriousness, you have to check this out. Honestly, I can't pick a favorite, every image is beautiful. More statistics before I start on my little ramble! 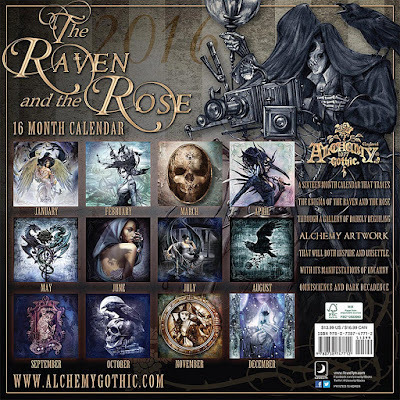 The Alchemy 1977 Gothic 2016 Calendar is a 16 month calendar (at a glance), but shows in great detail 12 months. The size of it when it is open is a standard 12"x24" inches. Okay, now here's why I really dig this calendar. The art, it's good, but I've seen it before... it's the situations and characters in this calendar that make it so cool. Instead of using stereotypical skulls, ravens, darkness, for all of the "scenes" there are some parts like November and February that have a pirate feel, I've not seen anything like it. The calendar also provides passages alongside the images. The calendar is full of life and character. Enough of this artsy stuff! I know from previous experience that this calendar is going to be a hit for so many of my friends. 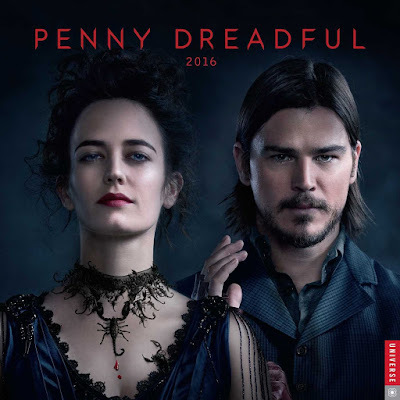 Since the end of last year, the Penny Dreadful series has just become quite a large hit. 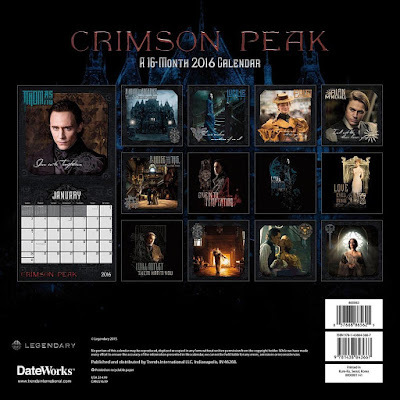 This is why I think the Penny Dreadful 2016 Wall Calendar is probably what I will wind up getting some of my Penny Dreadful obsessed friends. It has standard measurements of 12"x24" when opened and is published by Showtime! 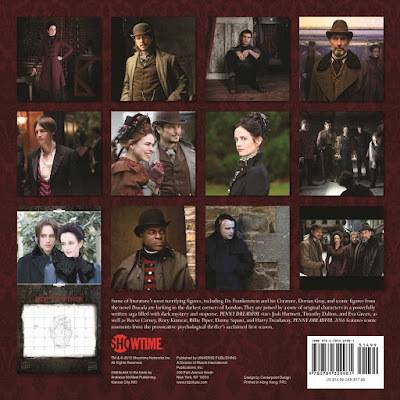 The Penny Dreadful 2016 calendar has many posters with a variety of characters, but enough of your favorites so you aren't getting it for just one photo! It's also not just posed, but the calendar includes many events during the recent story. 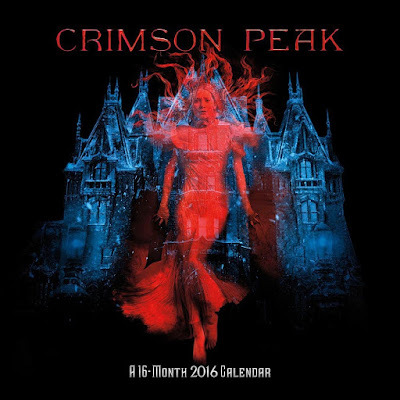 Perhaps your friends, like mine, are fans of Guillermo del Toro's lavish "Crimson Peak" film, and might enjoy this bloody calendar. 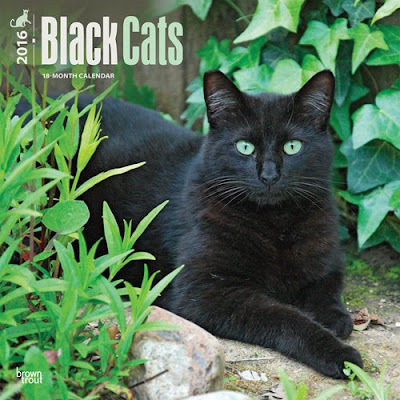 Now, we both know it's true - nearly every goth on our Christmas list has a black cat at home and might appreciate this Black Cats calendar. 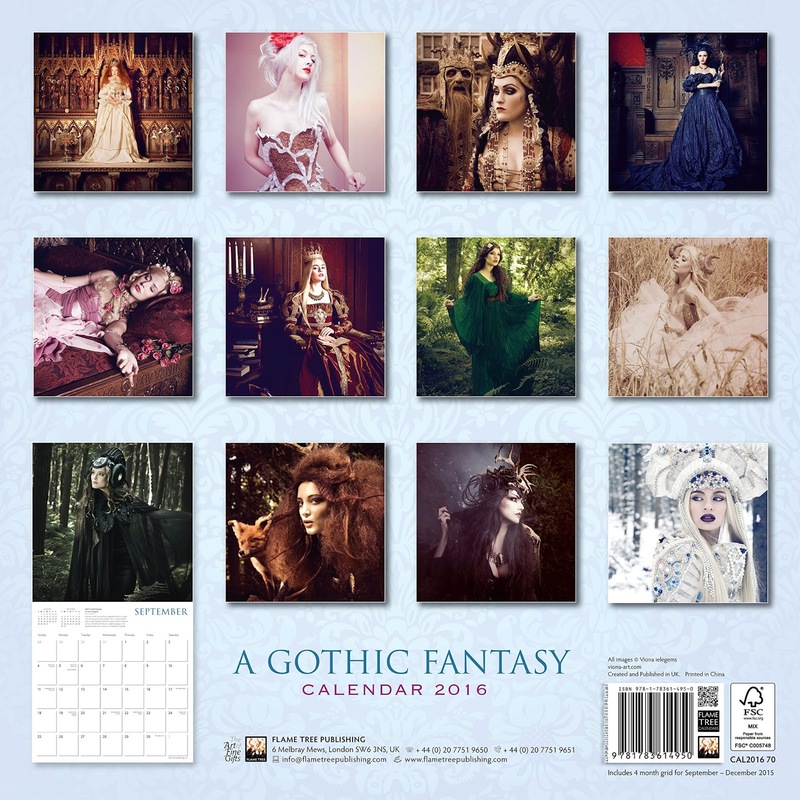 Let's end on a silly note - here's the Graveyard Girls calendar for 2016. I feel like I've touched all those lovely dark places in everyone's heart, but it's possible I missed something. If you have any thoughts or more calendars to share please comment below! I want to make sure I didn't forget anything! The Walking Dead Pop-Up Book!